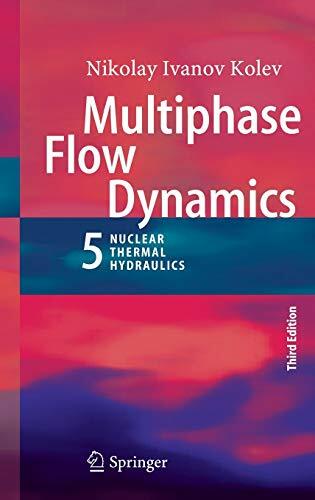 This Volume 5 of the successful book package "Multiphase Flow Dynamics" is devoted to nuclear thermal hydraulics which is a substantial part of nuclear reactor safety. It provides knowledge and mathematical tools for adequate description of the process of transferring the fission heat released in materials due to nuclear reactions into its environment. It step by step introduces into the heat release inside the fuel, temperature fields in the fuels, the "simple" boiling flow in a pipe described using ideas of different complexity like equilibrium, non equilibrium, homogeneity, non homogeneity. Then the "simple" three-fluid boiling flow in a pipe is described by gradually involving the mechanisms like entrainment and deposition, dynamic fragmentation, collisions, coalescence, turbulence. All heat transfer mechanisms are introduced gradually discussing their uncertainty. Different techniques are introduced like boundary layer treatments or integral methods. Comparisons with experimental data at each step demonstrate the success of the different ideas and models. After an introduction of the design of the reactor pressure vessels for pressurized and boiling water reactors the accuracy of the modern methods is demonstrated using large number of experimental data sets for steady and transient flows in heated bundles. Starting with single pipe boiling going through boiling in the rod bundles the analysis of complete vessel including the reactor is finally demonstrated. Then a powerful method for nonlinear stability analysis of flow boiling and condensation is introduced. Models are presented and their accuracies are investigated for describing critical multiphase flow at different level of complexity. Therefore the book presents a complete coverage of the modern Nuclear Thermal Hydrodynamics. This present third edition includes various updates, extensions, improvements and corrections.